This project is available in both Chiang Mai and Bangkok. International internships are a growing commodity, but the medical variety rarely take students abroad. 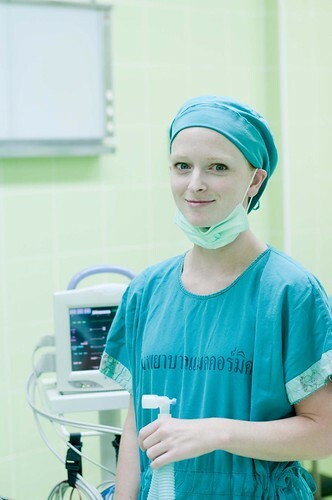 Sure, a medical internship in Thailand adds an exotic line to your CV, but labeling this formative experience as a mere “résumé booster” shortchanges it. Completing a medical internship in Thailand is a particularly attractive prospect for pre-med students in the West, where opportunities to work this closely with medical professionals and their patients are nil. And honestly, how many of your of peers can say they jetted halfway around the world to join the brigade in one of the world’s fastest-growing wellness hubs? There’s a growing awareness in the West regarding Thailand’s prowess as a medical depot. These days, the country leads Asia in terms of attracting medical tourists. In fact, a well-known private hospital in Bangkok attracts more international patients than any other hospital in the world. Hundreds of thousands of international patients seek treatment in Thailand every year. The medical scene in Chiang Mai and Surat Thani is admittedly subdued compared to Bangkok’s, but that only means interns who apply through Friends For Asia are able to work more closely with supervising physicians. You’ll be paired with a full-time doctor and will shadow this person on daily rounds from 8:00 am to 4:00 pm, Monday through Friday. These are highly qualified professionals, many of whom have been educated in the US or UK. Interns are only placed with doctors with an exceptional command of English. Interns’ responsibilities vary according to their qualifications, experience and comfort level. Of course, participants with a full-on medical degree enjoy much more latitude when it comes to administering care and interacting with patients, but even pre-med students are routinely surprised by the level of access they’re afforded. Every aspect of the internship is carefully monitored by the supervising staff, but you’d never get this far behind the scenes in a Western hospital. It’s a once-in-a-lifetime opportunity for medical students. Friends for Asia partners with private and public hospitals in Chiang Mai and Bangkok, to facilitate this internship. The oldest hospital was found in the late 19th century as a humble eight-bed clinic, and it has come a long way. Today, the hospital can accommodate 400 patients and employs dozens of doctors and hundreds of nurses. The hospitals themselves are noteworthy. It has shades of colonial architecture, with airy courtyards and tropical gardens. Interns don’t have any problem finding a tranquil corner for an iced coffee break. Better yet, hospital staff are well-versed in receiving interns, but it’s still a novel enough concept that you’ll have no problem striking up conversations and getting to know your colleagues. Participation in the Medical Intern Project starts at $1199 for two weeks. Each additional week is $299.for both locations Chiang Mai and Bangkok. Airport pick up, accommodation during orientation and entire project time, breakfast every morning, lunch every work day, 2 day orientation, half day city tour, cultural dinner and show, onsite coordinator and 24 hour emergency assistance. Plane tickets, travel insurance, cost of transportation to and from work location and accommodation, ride to the airport after service, dinner.